Mistah F.A.B. was born as Stanley Petey Cox on the 23rd January 1982, in Oakland, California USA, and is a rapper, singer-songwriter, producer, activist, and entrepreneur, but best known as a multi-platinum songwriter and record producer, who collaborated with numerous notable rappers. His pseudonym is actually an acronym for “Money Is Something to Always Have – Forever After Bread”. F.A.B.’s career started in 1998. Have you ever wondered how rich Mistah F.A.B. is, as of late 2016? According to authoritative sources, it has been estimated that F.A.B.’s net worth is as high as $2 million, an amount earned through his successful career in music. In addition to being a highly rated writer and producer in the rap business, F.A.B. has also recorded six solo albums which have improved his wealth. Mistah F.A.B. was a son of Desrie A. Jeffery and Stanley Cox, Sr., and grew up with his mother and grandparents after his father died of AIDS complication when F.A.B was 12. He went to Oakland Technical High School, and later transferred to Emery High School from where he matriculated. F.A.B. started as a point guard in a high school basketball team, but after suffering an injury, he was forced to quit playing ball, so he opted for a rapping career instead. F.A.B. career began in 1998 when he started entering local freestyle rap battles, and five years later he signed a deal with Straight Hits Entertainment. In 2003, F.A.B released his debut studio album called “Nig-Latin”, then in 2004 he signed a contract with Mac Dre’s Thizz Entertainment. In 2005, F.A.B.’s second release “Son of a Pimp” came out, featuring fellow rappers such as E-40, the late Mac Dre, Messy Marv, Yukmouth, Mac Mall, PSD, The Jacka, and Turf Talk. 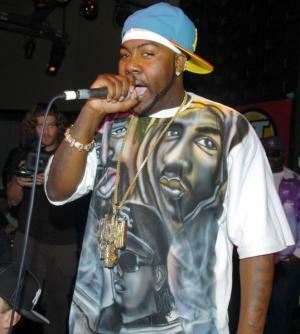 In 2007, he recorded an independent album called “Da Baydestrian”, which reached the No.7 position on Top Heatseekers, and No.47 on Top R&B/Hip-Hop Albums. His net worth was rising slowly. In 2008, he founded his own recording studio Faeva Afta Music and had collaborated with such rappers as Snoop Dogg, Too Short, E-40, B.o.B, Chris Brown, and Eric Bellinger. In last five years, F.A.B. has recorded three more albums, most recently “Son of a Pimp, Pt. 2”. In addition to his studio albums, F.A.B. has released nine compilations and 26 mixtapes, which helped him to increase his net worth significantly. Regarding his personal life, Mistah F.A.B.’s most intimate details such as marital status and any children are unknown as he successfully manages to keep them out of the public eye. He is a cousin of former NFL running back Marshawn Lynch. Throughout the years, F.A.B.’s philanthropic and activist efforts are quite visible in his hometown of Oakland, as he organizes the annual Thanksgiving turkey giveaways, backpack and school supply drives, and various charitable events that are benefiting Cancer and Domestic Violence. In 2014, F.A.B.’s deeds were recognized by Oakland’s Mayor Jean Quan, who declared Saturday, February 8, 2014, as “Stanley Cox aka Mistah F.A.B. Day”. Gangsta Brown Master of the Game 2016 Video short Himself - Mistah F.A.B. The Game Is to Be Sold Not Told 2016 Video short Himself - Mistah F.A.B. The Life and Times of Gangsta Brown Part 2 2012 Himself - Mistah F.A.B.